September is a month in which Costa Rica embraces with their heart and soul. People here appear happier, there’s a feeling of continued hope and an unspoken promise people share with one another as you look in all the businesses, banks and schools which are festively decorated in the bright reds and blues of the Costa Rican flag. 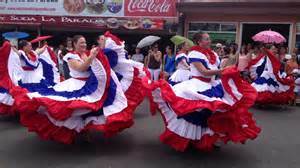 On September 15, 1821 “Ticos” (Costa Ricans) declared their independence from the Spanish colony. However, as important as this news was, it was not discovered by the Costa Ricans until October 29th of that same year. It was only when a group of migrants marched all the way from Guatemala and Nicaragua to the city of Cartago carrying bright lanterns that they announced the independence of the country. 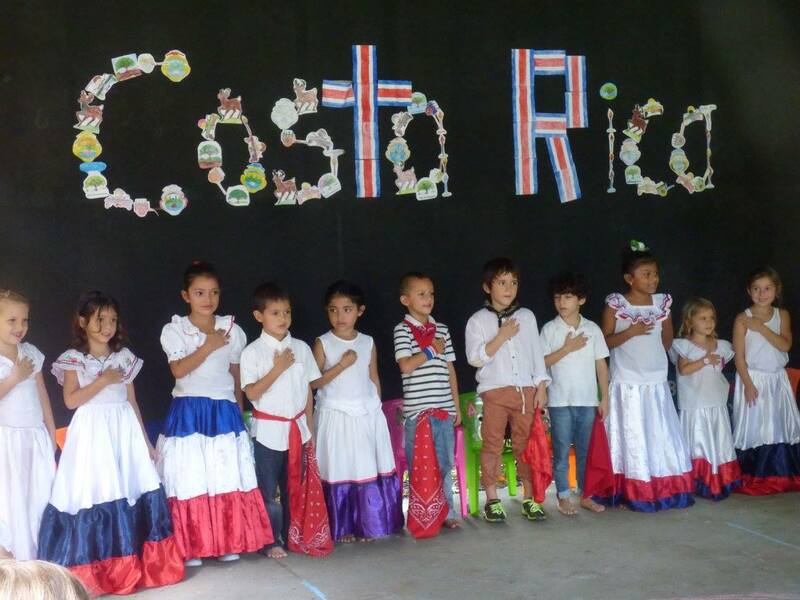 Children’s participation in the celebration of Costa Rica’s Independence is a very important role on this special day. A fun tidbit is they have a competition to see who can make the most creative lanterns as well as dress in the typical Costa Rican attire that represents the early generations of men and women of Costa Rica. They are so adorable and charming wearing these beautiful, colorful costumes with Costa Rica’s flag colors. Weeks before the celebration you can hear the children at school practicing playing instruments late into the evening. They take this event very seriously and march through town with such pride. Although the the sounds of the beating drums may be monotonous, it is such a wonderful tradition they are participating in you must appreciate it for the joyous sound that it is. Along with the music the children perform traditional dances with dozens of delightful hand made lanterns. At night the streets are full of light so much so that it illuminates the town as celestially as the luminescence in an ocean wave. It is such a beautiful sight! Ticos march from the local government to some of the main plazas in their town as a way to symbolize the migrants who brought the news to the country, holding their lanterns announcing and continuing to celebrate their independence. Typical dance and music is all around the main streets where thousand of people gather to enjoy the celebration, each family brings their own lanterns and typical food like gallo pinto, picadillo, tamales, chicharrones and sopas! It is safe to say September is just not another month here, it is the time of the year when the hope prevails on the faces of all Costa Ricans and that will keep the light of unity shining brightly throughout this beautiful country! Costa Rica is known to be one of the ‘friendliest’ countries in the world and people from this tropical country in Central America receive its visitors with the same expectation and excitement as they would receive their own family on a Sunday afternoon, it is that unique warmth that makes you feel always at home. We hope you visit us soon!